Since it’s time for syllabus creation, I’ve been thinking about the texts we choose, especially as models for students in creative writing courses. It’s always the case that early texts, especially, become for some students a sort of standard to shoot for and a way for them to figure out the aesthetics and position of the instructor. I’ve kept this in mind for years in what I teach first, trying to pick something that will be a kind of entryway and that will also set a high bar. For a long time I liked to lead with Amy Hempel’s “In the Cemetery Where Al Jolson Is Buried,” along with the fact that it was her first-ever story and came from the Gordon Lish prompt to write what dissembles one’s sense of oneself. Now I try to prioritize, especially at first, introducing students to several very different stories at once so that they see possibilities and context as a kind of aesthetic for the course. I like to leave room, too, for the texts to become more challenging as we go, and for the texts to build on each other and build up to each other. David Wright, author of The Small Books of Bach, has a pretty good list of considerations on his blog. Here are some of the highlights (go check out the rest). Which texts do I need in order to teach the material and skills that students need in this course, particularly given the tensions that often exist between breadth of coverage and depth of study? If I have visiting writers on campus, can I fit their books into the courses, both to benefit the writer and the students? When possible, I order books directly from small, independent presses, both to support those presses and to show students that great books come from such places. Do my choices of readings reflect the range of voices in this field/period/discipline, including gender, racial, geographic, ideological, stylistic diversity that will be important for readers to consider? Will these books reasonably fit within the time-span of the term? How will I use each work to teach a set of specific ideas and skills? 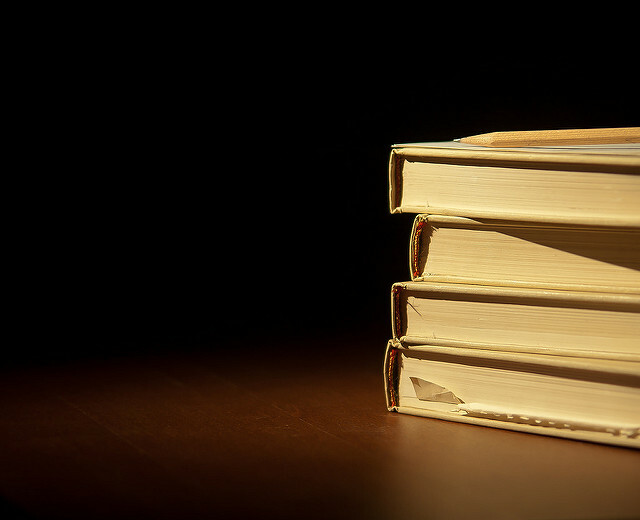 Will one book get overlooked and, thus, frustrate students who have purchased it? What uses will I ask students to make of these books in their classroom discussions, their writing assignments, or other forms of assessment? Do these works reward re-reading and reconsideration down the road? Do I want to read or re-read these works? Can I prep classes with the time available to me? Or do I need to fall back on a shorter work or a book I’ve already taught a number of times? Will there be any pleasure in it? What is the level of reading–pace, complexity, context, vocab, etc.,–that I’m expecting and do these students have that preparation and capacity? If not, what can I do to supplement and support them? Sometimes, in creative writing classes, I like to let the students’ manuscripts guide the readings. I’ll try to match readings as we go to the workshop manuscripts students are turning in. One of the things I always try to do is to include at least one text that will baffle my students, that will really challenge their ideas of what a text is and can be. I do this because it was important to me as a student to come across these kinds of texts–I guess again to see possibilities. Possibilities seems to me as good an argument as any for diverse readings. I want my students to see how much room they have to express themselves and, in a way, to feel their worlds expanding because of that. The interesting thing about creative writing courses, to me, is the acknowledgment that the students’ work and the students themselves are texts in play and in progress over the semester, and I’m always trying to get workshop to reveal the possibilities of their texts as well. Always trying to show them that they can take things further and in endless directions, and that where they go is a sign of who they are.